Root rots identified in recently lifted sugar beet crops, primarily on sandy East Anglian soils, have caused ‘significant delivery issues’ for some growers, according to the British Beet Research Organisation (BBRO). While crops went most of the growing season unscathed, BBRO says it has received an increase in the number samples affected by root rots, mostly caused by fusarium and rhizoctonia. Unusually high temperatures during the late summer are suspected to have fuelled disease development during the latter part of the season, according to BBRO lead scientist, Mark Stevens. He says: “We believe high temperatures in August and through to mid-September, sometimes up to 30degC, have led to crop stress and subsequent wilting. According to BBRO many affected roots have remained intact and have ended up in Maus clamps, causing some growers significant delivery issues. “Often when we get root rot, the whole root succumbs and disintegrates, but in most cases this season, the integrity of the roots has been maintained leading growers to believe the root is healthy. “As a result, a lot of infected roots have gone into clamps, leaving healthy roots susceptible to infection,” says Dr Stevens. He warns British Sugar have the right to reject loads containing infected roots. 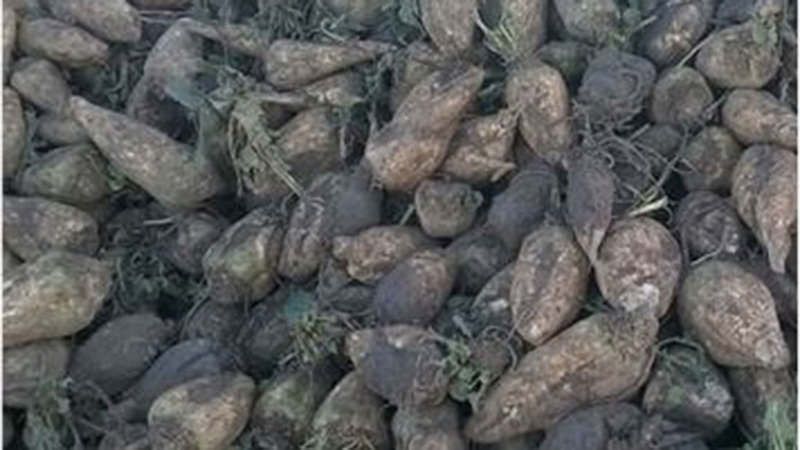 Where beet is still to be lifted, BBRO’s advice to growers is to inspect crops to ensure there are no major issues with roots that will cause problems once beet reaches the factory.